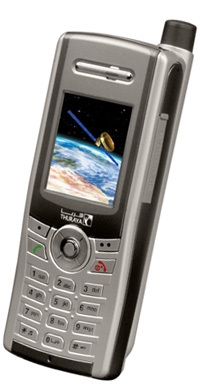 Thuraya SG-2520 phone has been discontinued and new phones are not available any longer. The only unit we have for sale is a like new, never used phone, in working condition. It DOES NOT have a one-year warranty. Contact us if you have any questions. A more modern and robust Thuraya XT-DUAL satellite phone is available to replace the SG-2520. Thuraya SG-2520 is the world's first satellite smartphone with built-in camera, tri-band global GSM and satellite voice and data. Phone Memory: 128 MB, expandable with SD memory cards.